Householders are being warned to beware of roofing companies calling at their door claiming to be able to access grant funding from North Lanarkshire Council to help replace roofs. Several cases have been reported in the last few days and in at least one case, a significant amount of money was handed over for work which did not comply with the necessary building regulation and was not eligible for grant aid from the council. The council’s community safety and trading standards team put out the following advice: don’t let cold callers do any work; if you think you need work doing, get three written quotes from reputable firms; do not be pressurised into handing over any money; do not make payments upfront; check with the council’s Private Sector team on 01698 274179 to see if any works suggested might be grant eligible. Convener of Infrastructure Councillor Michael McPake said: “We would strongly advise people not to open the door to cold calling traders. It’s all too easy for householders to be scammed out of money by doorstep criminals. 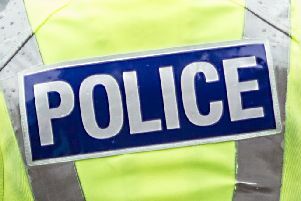 A 21-year-old Wishaw man has been charged for alledging taking money from an 80-year-old woman in Coltness last Sunday (June 17) for roof repairs that were not carried out.